A guard dog is not an alarm system, but a beloved member of the family, who will be loyal to you for all of its life. If you are searching for the best guard dogs to protect your home and family, you should bear in mind several aspects, such as breed, size, courage and trainability. We have compiled a list of ten best guard dogs, ranked based on trainability, and guarding qualities. It is very important that you are able to dominate the dog, both as a puppy and as an adult. You will have to establish yourself as the master from the very first moments. Read on to decide which breed is suited to your personality, family, house, and security needs. 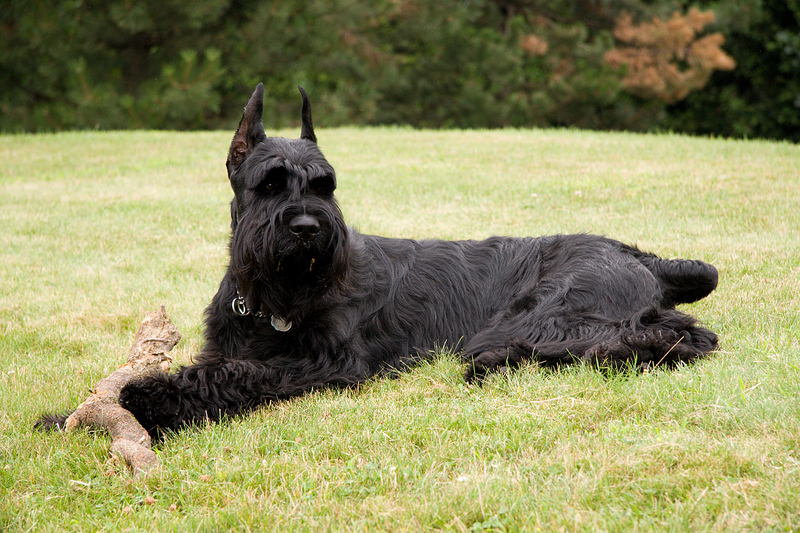 Giant Schnauzers are excellent guard dogs because they are extremely loyal to their owner and their families. They are very powerful and they can prove to be quite intimidating for any intruder. You should know that they require very strict training. You need to make sure that you are up for the task as this is a long-term endeavor. Giant Schnauzers are the best guard dogs for families. 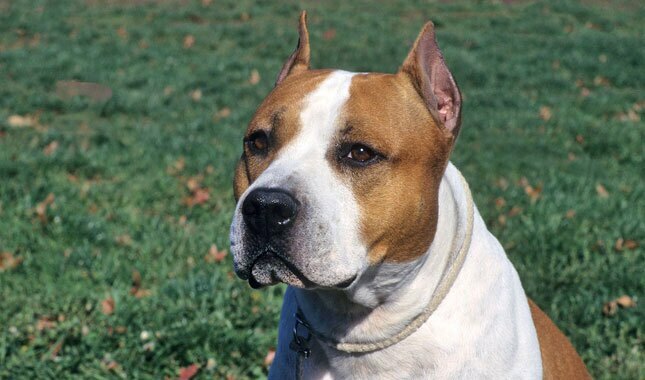 The Staffordshire Terrier is commonly known as Amstaff. It is often confused with the American Pit Bull Terrier, as it shares quite a few features with this breed. It is one of the best guard dogs out there, because it is outstandingly strong. You will have to be extremely attentive with the dog’s training and always make sure that you are able to dominate it. Getting an Amstaff is not a decision that should be taken lightly, so make sure you consider all possible aspects before doing so. Staffordshire Terriers are the best guard dog breeds for strong people. Do not be fooled by the Chow Chow’s rich fur and adorable blue tongue. It is one of the fiercest guard dogs out there. In fact, it is commonly underestimated precisely because of its adorable appearance. Any intruder will be in serious trouble when facing a Chow Chow. It is very loyal and unexpectedly strong, so it is an excellent choice for a watch dog. 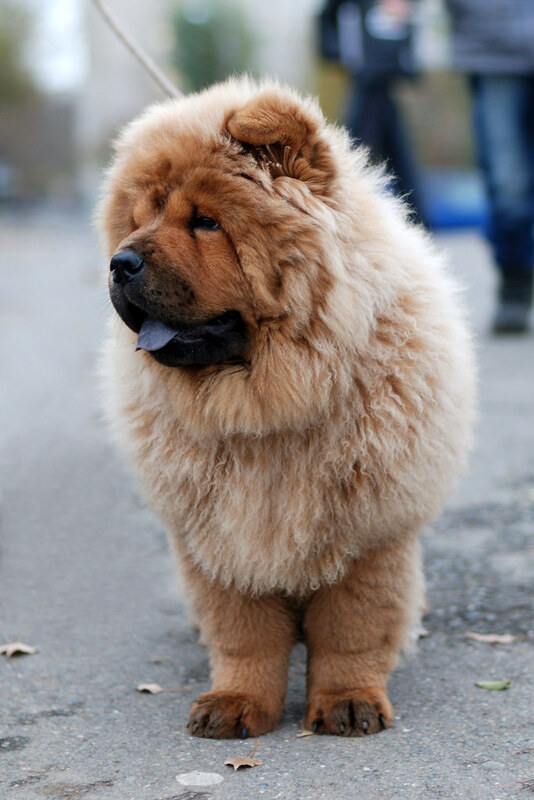 Chow Chows are the best family guard dogs, taking special care of every family member. This adorable giant is one of you best choices for a guard dog. Its impressive stature and its imposing gaze are usually more than enough to keep any intruders out. As you may imagine, this is not a dog for everybody. Taking proper care of a Cane Corso means lots of hours spent training it, as well as making sure it gets the proper amount of exercise. Make sure you know what you’re getting yourself into. If you are willing to put in the time and the effort, though, you will have a friend for life. Cane Corsos are the best family guard dogs of large size. The Kuvasz is one of the oldest guard dog breeds out there. This shepherd dog comes from Hungary, and it is known to create a special attachment to its family, while remaining cautiously detached when it comes to strangers. It is one of your best guard dog options because it is extremely protective of its family. Kuvaszs are the best livestock guard dogs, and some of the best guard dogs for families. This big-boned sweetheart is an excellent guard dog for both families and properties. It is one of the strongest dogs out there, and has an irresistible personality. It is very loyal to its masters and it will always put them first when it comes to safety. With a Rottweiler by your side, you are safe pretty much anywhere. Rottweilers are the best house guard dogs, and among the best guard dogs for kids. This dog’s level of loyalty has become famous all over the world through Hachiko’s moving story. After his owner died, Hachi waited every day for ten years for him to return from work. So if you want a dog that will stay loyal to you no matter what, then look no further! The Akita Inu is the dog for you. Akita Inus are the best guard dogs for children. The Doberman Pinscher is known all over the world as one of the fiercest watch dogs out there. Their guarding skills are flawless, but you should know that there is so much more to this dog than its ability to keep any intruder away. It is incredibly smart and loving and it is a true companion. Training a Doberman requires a firm hand, but this is a dog that will stand by your side through anything. Doberman Pinschers are the best guard dogs for authoritative owners. With its imposing stature and outstanding assertiveness, the Bullmastiff can easily establish itself as a strong guard dog. It is extremely strong and intelligent, and will remain loyal to its master throughout anything. But this irresistible hulk is also very playful and docile with its family, so it will be an excellent pet as well. Bullmastiffs are the best guard dogs for families, homes and properties. All of the dogs we have included in our list make excellent guard dogs, but the German Shephard is out top choice because it the ultimate pet, as well as a perfect watch dog. It is uniquely elegant and it is one of the most intelligent breeds out there. These outstanding qualities have made the German Shephard the ideal police dog. You will have an amazing time training and loving this dog because it has an irresistible quality that will make you love it instantly. These are the best guard dogs out there. Whichever one you choose, you can be confident that you will always be safe with it at you side. We hope out list inspires you find your best guard dog! However, before deciding, you should bear in mind that a guard dog is high-maintenance. If you do not have the time for proper training and exercising, but still want a furry friend, you can take a look at our top of low-maintenance dogs. Remember that whichever one you end up with, you will have not only a guard dog, but a companion for life.